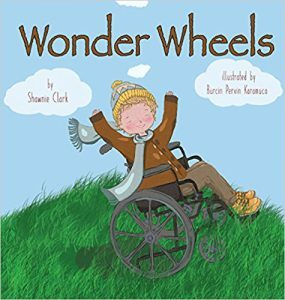 Author Shawnie Clark on Wonder Wheels & More! Hello RWYK family! If you love children’s book as much as we do, you’re going to LOVE our conversation with children’s author/writer Shawnie Clark. 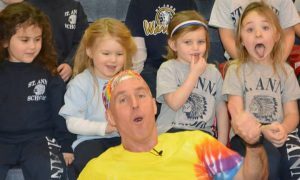 Shawnie has published several articles and children’s books to date with more on the way. There is a criteria in her writing style which make the books interesting, engaging and long remembered. Shawnie is joining us today to talk about a very special book titled Wonder Wheels that teaches empathy for children with Disabilities. This book is a sweet story of a disabled child getting a new wheelchair and how this amazing gift changes his life. Be sure to tune in as we discuss all about Wonder Wheels, How important it is for kids to have books where they can identify with the characters, some other children’s books written by Shawnie, her upcoming books and more. Be sure to listen in & enjoy! Writing is not what Shawnie does, it’s what she loves. Writing has always had a place in her life. At a young age she had a creative imagination that impelled her to write short stories about her hopes and dreams. As she reached young adult hood she continued to write with a little more focus, writing various articles for newspapers and magazines. She raised her children, all five, they inspired her to write stories and poetry. She has had some poems published in anthologies. Over the years she have continued writing articles for online magazines and websites. It was in 2012 when the writing bug really grabbed a hold of her and I was able to utilise her creativity in the form of children’s stories. 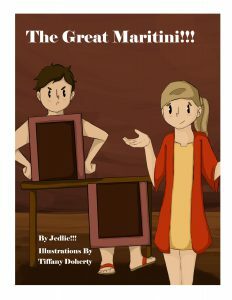 Shawnie has now several children’s books published. Writing is her joy! Have you ever felt downhearted? That’s how Kobe felt Kobe until the day he received the best gift ever! That gift changed his life! It gave him the freedom to do things he wasn’t able to do before, such as help others, walk the dog, play at the park, go on adventures, and make friends. Ride with Kobe in his new Wonder Wheels. Zooming along like a super hero to places he never dreamed he could go! Book link uses our Amazon affiliate code so we earn a small commission on whatever you purchase after clicking on the link. This helps fund the website and podcast. Thank you for your support..
We discuss some of the interesting facts about her writing, exclusive sneak peek into her future projects an more. Happy Listening! Thanks so much for talking with us, Shawnie! PreviouslyJoin us for the Gusto & Gecko’s Travel Adventure!